Now replaced by the Advance Comfortpack 2. The new Advance COMFORTPACK is a state-of-the-art paraglider backpack which excels through its high carrying comfort, slender shape and outstanding design. It has been designed for the Advance IMPRESS 3 harness, to optimize the compactness of the whole system. It can of course also be used for other harnesses with a similar shape and pack volume. Flybubble note: Although the Advance COMFORTPACK has been designed for the Advance IMPRESS 3 harness, it can of course also be used for other harnesses with a similar shape and pack volume. It's a fantastic paraglider rucksack - we love it! The COMFORTPACK is a geometrically optimised packsack, offering excellent carrying comfort, designed so that its volume is filled as efficiently as possible. Its trapezoid back design allows for good packing and easy closing. The COMFORTPACK sits perfectly on the back due to its slender and compact shape. The adjustable hip strap with a tightening buckle each side gives the backpack the best hold-up grip, and the shaped shoulder straps spread the weight evenly on the shoulders. The trapezoid back shape gives the COMFORTPACK the volume where you need it, namely in the small of the back, where the main support strap is widest and thickest. An internal compression strap in the same place also allows the harness foam protector to be compressed effectively, and this works especially well with the Advance IMPRESS 3 harness. The main zip can then easily be closed without a struggle. 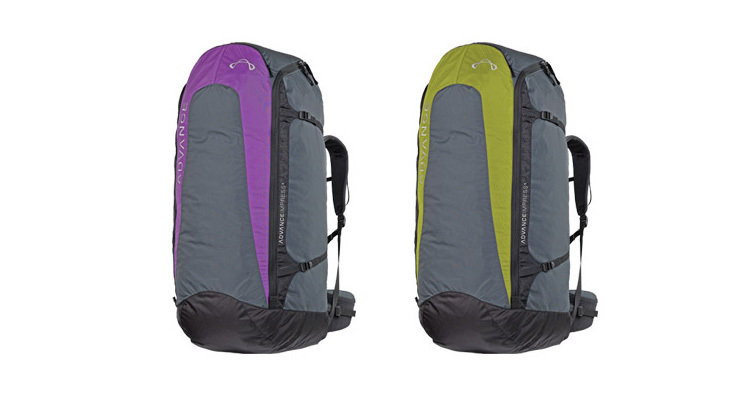 The 110L COMFORTPACK has been designed for the Advance Impress 3 size S and M (tight fit). The 125L COMFORTPACK has been designed for the Advance Impress 3 size M and L.
Flybubble note: We weighed the 125L COMFORTPACK on our electronic scales and it weighs 1260 grams.